The Environmental Action Club(EAC) at Skidmore College has always been a hotbed for activism and change at the school, a gathering place for the most committed students. For the past 2 years students involved with the Environmental Action Club have tried to shrink Skidmore’s carbon footprint. Several efforts were made to get the President of the College to sign a Campus Climate Commitment that would do just that, reduce the schools carbon footprint. After nearly a year of meeting after meeting no agreement was reached as the administration perceived the goals to be unrealistic. With the establishment of a new Student Government Association(SGA) Sustainability Committee(SuCo) the political climate at Skidmore changed. 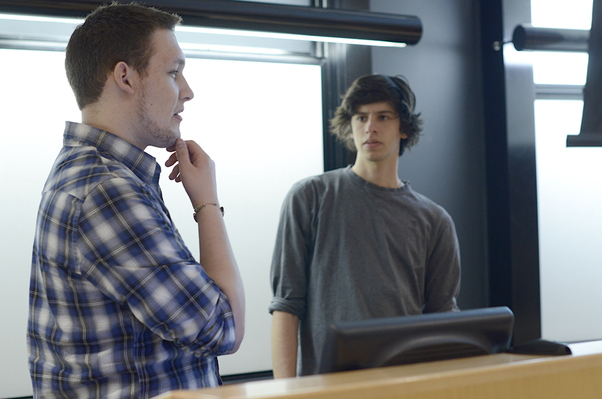 For the last year EAC and SuCo have created a strong student alliance to institutionalize Skidmore College. This semester students have used this alliance to push for divestment at Skidmore. After initial efforts to call on the school’s Chief Financial Officer to begin the divestment process were rebuffed, students got political. A joint group of students from EAC and SuCo drafted a divestment resolution in hopes that the Student Government Association would adopt it. After a long revision process, and a petition with over 500 signatures, the resolution was passed unanimously on Tuesday, April 30th. The passage of the resolution is particularly exciting because it represents a unified movement of students committed to protecting our future from climate disaster. Furthermore, by passing the resolution SGA and EAC are both calling on the administration to make an institutional shift. The passage of the resolution gives student activists a lot of clout as the divestment movement move ahead. 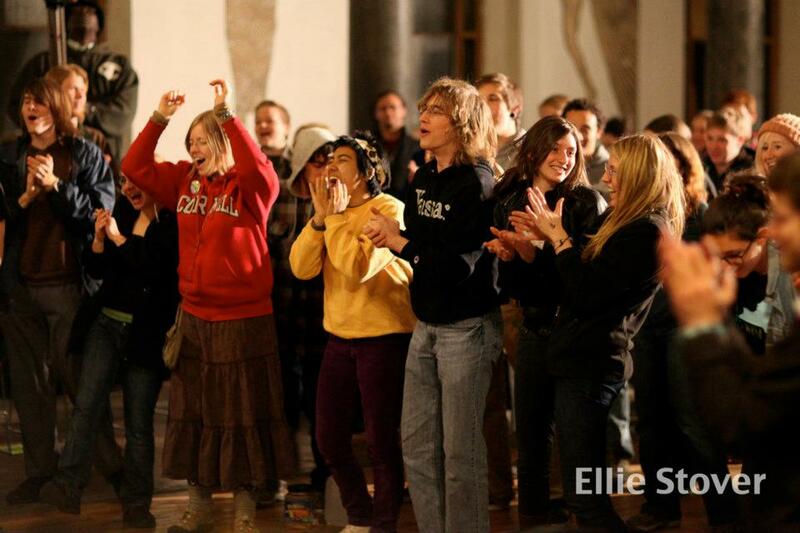 Supplementary to the passage of the resolution Skidmore has a storied history of divestment. There is of course at least one example, the divestment from companies involved in the South African Apartheid regime. Skidmore students discovered the use of South African mined steel in one of the academic buildings on campus and began a divestment campaign that is now enshrined on a plaque in the aforementioned building. 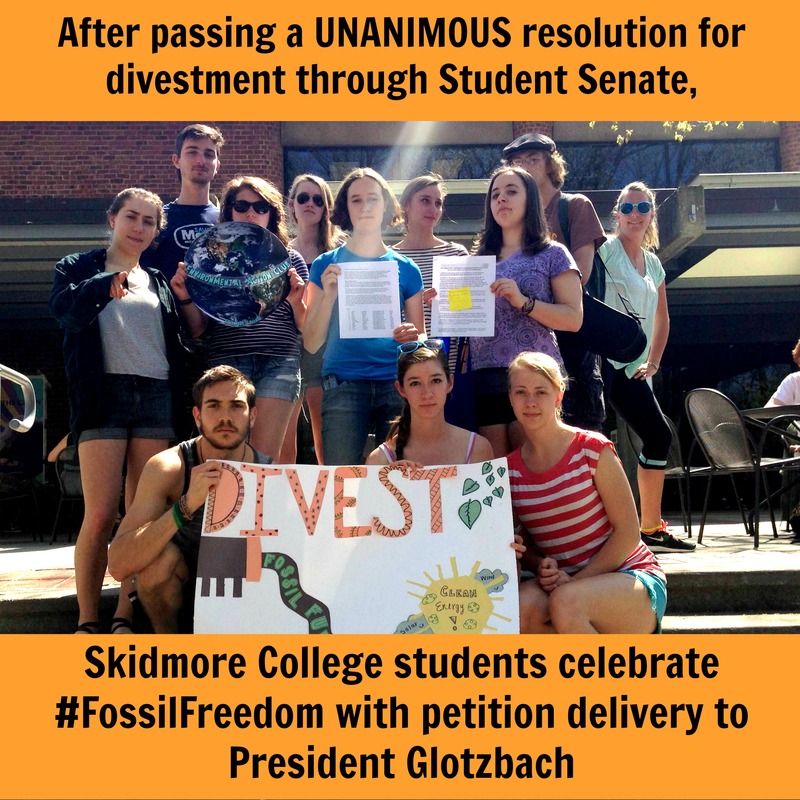 Many people, including the administration at Skidmore College, find the goal of divestment to be unrealistic or lofty- but not the students. On May 2nd, a group of student activists delivered the divestment petition containing over 500 signatures to the President Glotzbach’s office, sending a clear message to the administration that students will see divestment through to the end. As a part of the ever-growing national divestment movement there is a growing sense on the Skidmore campus that anything is possible. Ending the semester strong. The SU/ESF Fossil Fuel Divestment Campaign had a huge victory Tuesday evening as the ESF Undergraduate Student Association (USA) unanimously passed in favor of our resolution to divest the ESF campus endowments from fossil fuels. Standing in front of the USA as they discussed the key points of our final resolution was daunting. The voting began and the room quickly filled with the voices of those in favor. When asked for all opposed, a feeling of pure excitement and overwhelming relief swept over our group as the room fell completely silent. The vote was unanimous. The resolution had passed. The SU/ESF campaign has been pushing hard on both campuses these past two semesters to make students, faculty, and administration understand the importance of divesting our campuses’ endowments from fossil fuels. Whether it was getting roughly 1,000 petition signatures combined, the support from 57 SU faculty and five ESF/SU clubs, organizing a teach-in and two campus marches, meeting with administration, or simply just spreading the word to everyone and anyone – our campaign has been persistent. It has been such a privilege to work with all those involved in this campaign. Everyone has a reason for this fight and have all shown great passion and determination for the cause. Working jointly with the two campuses has allowed for greater collaboration, helping to give us a stronger presence in the Syracuse community. The SU Student Association resolution is scheduled to be voted on next week. We are hoping for another grand victory there as well. Even with summer fast approaching and the semester coming to a close, our campaign is not finished just yet. We are looking forward to continuing to push even harder in the Fall. UPDATE: The Syracuse University Student Association passed their resolution with a 28-2 vote on Monday 4/29! Members of our campaign at the ESF Activities Fair during Earth Week. Speaking at our Divestment Teach-In. Marching around the ESF Quad during Earth Week. Where will you be Earth Day Weekend? Register Now for the Youth Power Summit 2013! On site registration is also available. WHERE: Ithaca College Center for Business and Sustainable Enterprise. The Youth Power Summit is the Youth Track of the Climate Smart & Climate Ready Conference, a major multi-sector regional initiative under the leadership of Assemblywoman Barbara Lifton aimed at making our communities more climate friendly and climate resilient. The YPS has partnered with the internationally recognized New Economics Institute to bring in keynotes Juliet Schor, author of Plenitude: The New Economics of True Wealth; Lilian Molina, inaugural director of the Environmental Justice Program at the Energy Action Coalition, the hub of the US Youth Climate Justice Movement; and Esteban Kelly, co-founder of the national worker co-op, the Anti-Oppression Resource and Training Alliance (AORTA). The summit will explore millennials’ leadership in the growing field of “New Economics” and in locally focused, sustainable and anti-oppressive projects in Ithaca and Upstate New York. 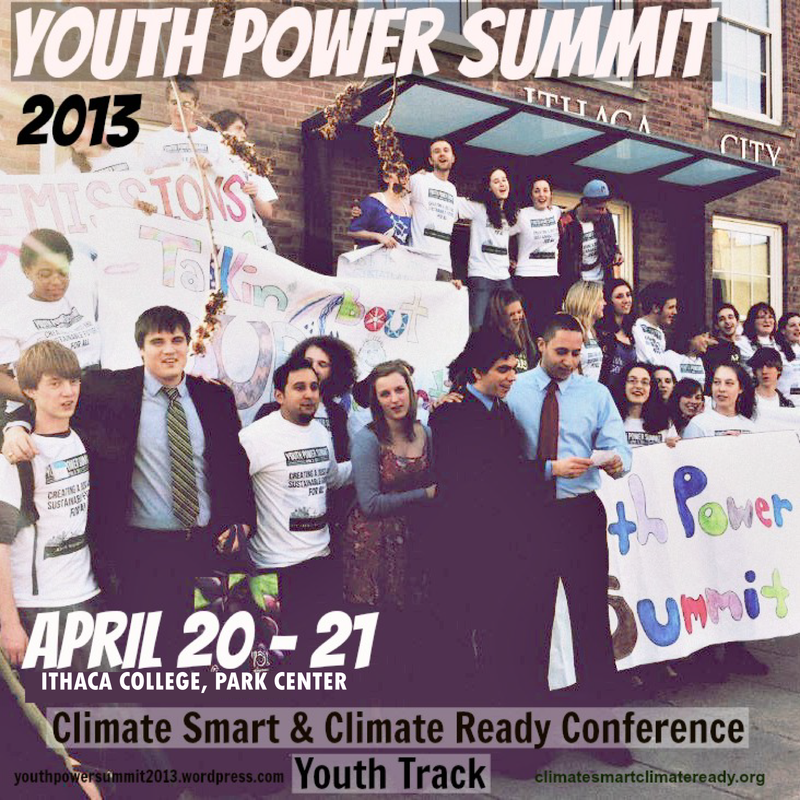 Join us on Saturday April 20st from 9:30am – 7:30pm and Sunday April 21st from 9:30am -2:30pm for the Youth Power Summit at the Park Center at Ithaca College! People of all ages interested in the program and/or local youth empowerment are encouraged to attend! The Youth Power Summit 2013 is a youth-led project to create a space where young people, students, community members, faculty, and community business leaders will converge to explore the intersectionality of economic, social, and climate justice issues and develop the tools, organizing strategies, and collective frameworks to actively pursue a vision for a just, sustainable, and prosperous community. We believe that realizing this vision demands genuine systematic transformation that puts freedom from discrimination and equal access to decision-making at the center of equitable and resilient social, economic, and cultural institutions. At the Youth Power Summit, we’re investigating the strategies we need to build this vision in practice through open dialogue, cultivating new connections in our community, and empowering young people to reframe the conversation around climate change so that climate justice is one strategy among many that seek broader and deeper justice in the creation of a sustainable and peaceful world. To many, carbon-based energy feeds this country, pumping through the land through a network of pipeline veins. It brings with it high levels of greenhouse gas emissions, contributing to climate change and causing detrimental environmental effects. But students at both Syracuse University and the State University of New York College of Environmental Science and Forestry are saying, “No more.” They’ve decided to tackle the issue of climate change by severing ties with the fossil fuel industry— the heart of the beast. Students from SU and ESF have asked their respective universities to divest from the fossil fuel industry. Activists want the university to abstain from any new investments in fossil fuels and to set a plan in motion to become completely divested in five years. SU currently has $50 million invested in the energy sector, comprising about 5 percent of its endowment, said Ben Kuebrich, a doctoral student in SU’s composition and cultural rhetoric program. ESF has $1.9 million invested in the energy sector, said Mike Smith, a junior chemistry major at ESF. “What the divestment movement does is target the fossil fuel industry, which is spending its money and corrupting our system,” Kuebrich said. Asking the universities to pull funding from fossil fuel companies sends a social message, said Chiara Klein, who is involved in the SU divestment group. Those involved modeled the campaign after a movement from the 1980s, in which students across the country demanded that their universities divest from South Africa in protest of apartheid. “It’s very much akin to stirring up trouble in a good way,” said Klein, a sophomore English and textual studies major. The idea sparked on campus after renowned environmentalist Bill McKibben spoke last fall as a part of the University Lectures series. In his lecture, he urged members of the SU community to take action against climate change by standing up to the fossil fuel industry. Students at SU and ESF, along with others from more than 250 colleges and universities across the country, have answered his call to action. “The most important component of the divestment campaign is the argument that if you’re going to take sustainability seriously on your campus, you extend that focus beyond the buildings to the portfolio,” McKibben said in an email. Two student members of the campus environmental organization Kyoto Now! 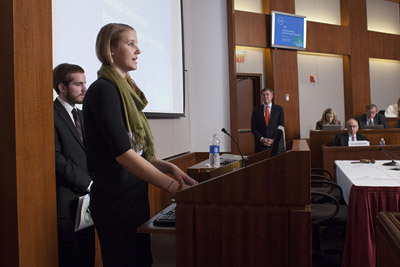 made their case for Cornell to divest from investments in fossil fuel companies at an open session of the Cornell Board of Trustees meeting on campus March 28. The trustees, university administrators and student groups have been in ongoing dialogues about divestment for the past year. “Our financial support of climate polluters creates a discrepancy between the ideals and trajectory of the university and its investment policy,” said Dennis Fox ’15. Representing Kyoto Now!, Fox and Rebecca Macies ’14 asked the university “to fully withdraw its investments in the fossil fuel industry by 2020, and reinvest 30 percent of those divested funds” in responsible sustainable investments. More than 300 campuses nationwide are running divestment campaigns, including all the other Ivy League schools, Fox said. “American endowments add up to more than $400 billion, and we have the power to influence the impacts that money will have on our future,” he said. President David Skorton had yielded his time during the meeting’s open session to Kyoto Now! Colleges in the Rochester area and across the country have gone to great lengths to build up their sustainability cred. The efforts vary from campus to campus, but include changes that greatly reduce waste from dining halls and retrofits that slash energy use in campus buildings. And some campuses have signed on to climate change commitments, pledging to reduce their carbon footprints. Jennifer Benson, a SUNY Geneseo student, says that divesting from fossil fuels would benefit her school, as well as the environment and people’s health. money invested in oil, coal, and natural gas companies. The contradiction is not lost on students, some of whom are now trying to convince campus administrators to change their approach to investing. Students at University of Rochester and SUNY Geneseo are among those pushing their schools to stop investing in fossil fuel companies. by pulling their investments, their schools would be taking a stand against the fossil fuel industry and its role in one of the biggest environmental and social issues of their generation: climate change. “If you are coming out and publicly saying, ‘We value sustainability, we value the environment, we believe that climate change is real [and] we need to do things about it if we don’t want it to become literally a global disaster,’ then it’s time to not just say those things and actually do things about them,” says Allison Hoppe, a SUNY Geneseo senior who helped start a divestment campaign at her school. On Friday, March 1st, 60 Vassar students rallied outside the Board of Trustees’ gathering to encourage the trustees to divest from fossil fuels. The demonstration was a follow-up to a meeting on Thursday, February 28th, in which members of Divest VC met with two trustees, including Chair of the Board William Plapinger. As a result of the overwhelming 23-1 vote in support of divestment from the Vassar Student Association (VSA), it was time to take our cause to the trustees. Last Thursday’s meeting was an attempt to get speaking time at the full meeting of the Board. Though we were received cordially, our request was denied–so we decided to step up the pressure on the Board. It was important to show that we can be professional in one setting and display our collective power in other settings, gathering massive student support for a public demonstration to the trustees. The weekend was encouraging on many fronts, combining our campaign’s research and momentum in a powerful call to divest. For the most part, the trustees were receptive and willing to listen to our concerns. As shown in the above video several trustees came out and spoke to us, reciprocating the positive attitude that we projected. Moving forward, our demonstration showed that the trustees have no choice but to divest. You can visit us on facebook here, or on our webpage here.